Program Management, Administrative, Operations (Clerical) and Technical Services (PACTS II) is a Department of Homeland Security (DHS) Department-wide service contract for acquiring program and general management consulting, administrative support, operations, and technical services requirements (non-IT service solutions). PACTS II is 100% set-aside for Service-Disabled Veteran Owned Small Businesses (SDVOSBs) in accordance with FAR 19.14. For more information on PACTS please download the DHS PACTS Ordering Guide. The SVT Team is comprised of both small and large companies with complementary core competencies. The team currently performs Program Management and Technical services that are outline under Functional Category 1 (FC1). The SVT Team has extensive experience supporting DHS, the Department of Defense (DOD) and other civilian governmental agencies. Our team will provide DHS with proven approaches and creative solutions to the evolving national security threats. The SVT Team’s past performances and experiences satisfying the requirements of PACTS II are displayed in Table1 – SVT FC1 Support. SVT Team has extensive experience supporting DHS, the Department of Defense (DOD) and other civilian governmental agencies. Our team will provide DHS with proven approaches and creative solutions to the evolving national security threats. Dynetics, Inc. delivers the “Power of Solutions” to government and commercial customers in the areas of intelligence, missiles, aviation, information technology/cybersecurity, automotive and space. Based in Huntsville, AL, with offices throughout the United States. Dynetics provides business operations support, acquisition management, program and budget documentation, program and budget planning, budget analysis and resource studies, including all aspects of administration, strategic communications, business process improvement, and information management. Versar’s Environmental Services provide full-service environmental solutions and includes our remediation and compliance, exposure and risk assessment, natural resources, unexploded ordnance (“UXO”)/military munitions response program (“MMRP”), air, greenhouse gas, energy, and cultural resources services. 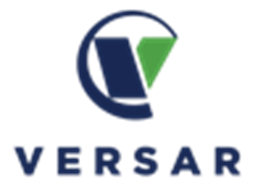 Versar delivers innovative solutions, rapid response, experienced leadership, and best practices to complex programs in some of the most challenging environments in the world. GS5, LLC (GS5) provides Management and Technical services to a range of clients across Federal and commercial markets. GS5 is a small disadvantaged business participating in the Small Business Administration (SBA) 8(a) Business Development Program. GS5 specializes in acquisition and program management, intelligence analysis, engineering, and technical services. GS5 supports the Warfighter through a range of contracts with the DOD, the Intelligence Community (IC) and commercial clients. Infinity Support Services’ 30+ years of Acquisition Program Management experience, and collaborative approach, allows Infinity to increase their clients’ program and mission success. Infinity clients benefit directly from working with experts who have served not only as DOD Program Managers, but also have critical expertise in the role of Milestone Decision Authority. This is a key element that Infinity Support Services brings to clients – the differentiation of having been in the seat of the Program Executive, and the insight into what the acquisition authority will require from your program office. Novel Applications Vital Information Inc. (Novel Applications) is a premier technology services company that provides solutions in the areas of Cyber Security, Information Assurance, Systems Integration, and Enterprise Architecture. Novel Applications is an 8(a)-certified minority owned small business that combines experience, creativity, flexibility, pragmatism, and cost-effective solutions in order to deliver measurable business value to their clients. Ordnance Holdings, Inc. (OHI) is a small HUB Zone certified business headquartered in Maryland with offices in Pennsylvania and California. OHI specializes in providing research, engineering, and programmatic support to the DOD and the civilian law enforcement/public safety bomb disposal community in the areas of explosives detection and defeat, unexploded ordnance (UXO), and counter Improvised Explosive Devices (IEDs). Key Concepts Knowledgebase LLC is a company of solutions architects. They develop sustainable, augmented solutions for the Health, Environment, Educational, and Management sectors or industries. Since 2008, Key Concepts have been selling quality services and products to Federal and Commercial clients. They help our clients succeed at getting business results by providing services such as Process improvement, Business Reengineering, Strategic Planning, and IT Governance. PACTS II is an IDIQ contract with a two-year base term period and three one year option periods. The period of performance including option years is 03/01/2017 to 02/28/2022. TOs will be issued with specific performance periods. For more information click the links below.